The new tax legislation passed at the end of 2017 was already setting this tax season up to be a confusing one. But new tax laws plus a government shutdown? “Those two together, quite frankly, mean the perfect tax storm,” one accountant told Yahoo Finance. First, there’s the withholding question. UBS’s economists have said that tax refunds are likely to be about 15% to 25% higher in 2019, equating to about $40 billion to $70 billion more sent back to taxpayers than in 2018. Morgan Stanley agreed, expecting 2019 refunds to be 26% greater than last year’s thanks to high withholding and taxpayers waiting for guidance after 2018’s new tax plan. Meanwhile, others are forecasting tax refunds to be lower than expected because withholding tables were adjusted too aggressively, causing many workers to not withhold enough. To that point, the IRS announced this month that more people who didn’t withhold enough would get their penalties waived. A GAO report found IRS models showed fewer people will get refunds and more will owe this spring. 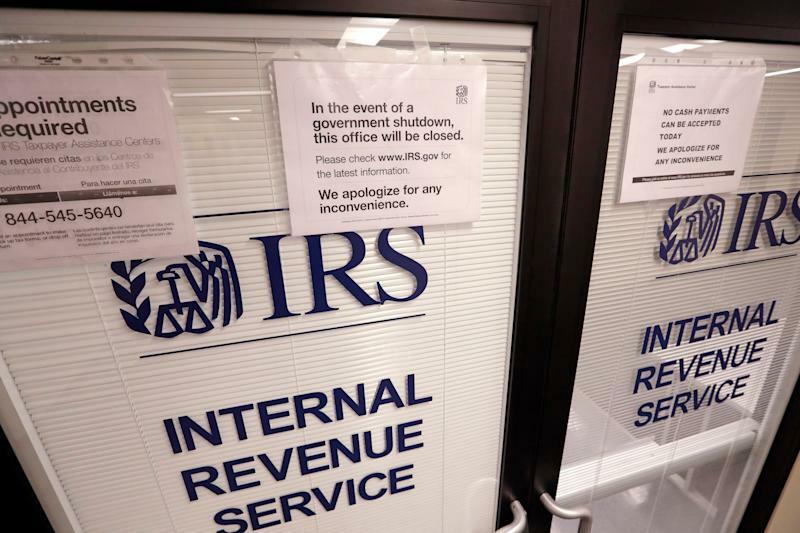 Amidst all of this, the shutdown has crippled the IRS’s operations, and unpaid workers have been given permission to skip work. In other words, no one knows what to expect. Whenever the tax laws change, accountants and taxpayers have to adjust, a process that is not always smooth. First there’s the uncertainty about how tax laws will actually affect people. Furthermore, the clarifications CPAs and taxpayers need have been slow to come out of the IRS, which continues to see its budget get slashed. “With a tax law passed at the end of 2017 that was largely drafted in secret and that was, for the most part, effective within a month after enactment, guidance has been slow in coming from the IRS,” said Luscombe. If the guidance was bad before, the shutdown isn’t helping. Hearings have been postponed for proposed tax regulations until the government re-opens. This is stressing people like Rahill, a past board chair of the Illinois CPA society who frequently teaches continuing education for accountants. Specifics of the tax law such as “opportunity zones,” areas that have special tax status for economic development reasons, require phone-book-length guidance. This guidance is being held up by the shutdown, frustrating accountants. “We have a lot of questions as to what qualifies,” said Rahill. Rahill applauded the IRS for publishing an inch-thick stack of guidance earlier that clarifies things for pass-through businesses and more, like the fact that life insurance isn’t a financial service. A big part of the uncertainty surrounding 2018’s returns comes from withholding. If everyone were to take the standard deduction (which increased to $24,000 for married couples filing jointly) instead of itemizing, it’s broadly true that taxes would fall slightly for many, the CPAs noted. But the broad changes to deductions in the Tax Cuts and Jobs Act make it much more complicated. Luscombe added that estimates for the number of individual tax returns that will be itemized will fall from 30% to just 12%. For held-up guidance, when it eventually comes, CPAs like Rahill may have to brace for some tough phone calls, because all this uncertainty means more work for tax professionals and higher fees for clients. Filing early — before the IRS issues more guidance — can be tough as well, as it could result in the need to go back and amend. Tax filing season begins Jan. 29 and the deadline for 2018 returns is April 15. Better to get a tax refund or send a check? Shutdown may change that calculus for some.